Niwaki – this is the Japanese word for pruning trees into clouds. An ancestral, elaborate art, this particular type of pruning was developed to create symbolic spaces, miniature representations of landscapes in your own garden to deepen meditation. It is very trendy these days. Ideal when setting up a Japanese-style Zen garden, cloud pruning follows several guiding inspirations. Is cloud pruning reserved for bonsai? Not at all. Actually, quite the opposite. 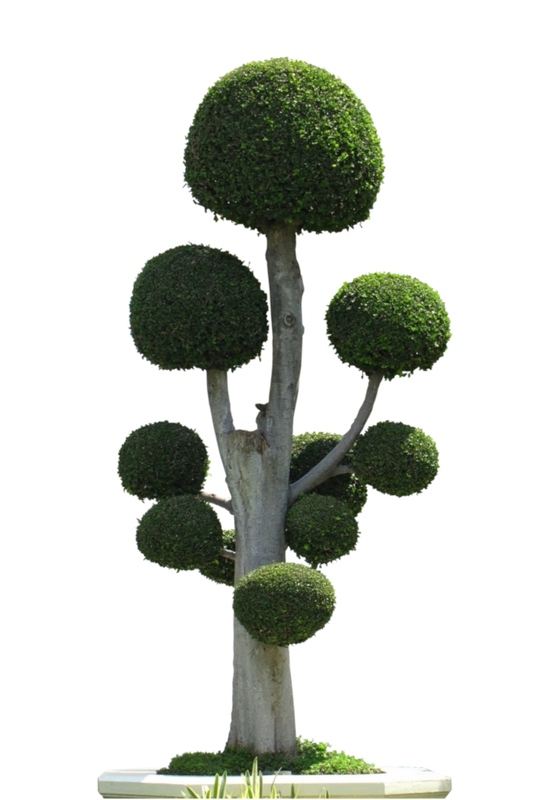 Indeed, cloud pruning mainly addresses trees and shrubs that are either grown in pots or directly in the ground. Of course, it is also possible to prune a bonsai into a cloud – let us not stifle creativity – but the practice doesn’t stem from bonsai care in the first place. Patience, diligence and perseverance are the key to succeeding in cloud pruning a tree or shrub. Ideally, you’ll be starting with a young specimen. For the more creative spirits, you can try digging a trench along one side of the foot of the tree to slant the trunk somewhat. 2 years later, you can uproot it slightly to tip it again in another direction: that way, you’ll be creating an original, visually appealing bearing. The cloud pruning of a tree can be broken down into 4 distinct steps. The first is to study the specimen awaiting to be pruned. Indeed, for an effective niwaki, the existing structure of the tree or shrub must be visualized, otherwise the pruning will be a disaster. Once the structure has been absorbed, comes “decluttering”: the tree is cleaned and the tree/shrub is pruned. Dead wood, small unruly branches, etc. are removed. At this stage, your shrub or tree will be much more aerated. Then, you can proceed to separate the masses that will ultimately resemble clouds. For that, let yourself be guided by the thickness of the branches, their direction, and the overall bearing of your shrub. 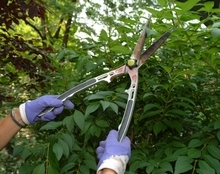 Take note: to cloud prune your masses into clouds, choose a small bonsai hand pruner cleaned with alcohol beforehand to avoid spreading diseases, and then start cutting the branches that stick out of the cloud. But you’ll also need to pinch off smaller shoots located under the cloud, to give it a pure silhouette. 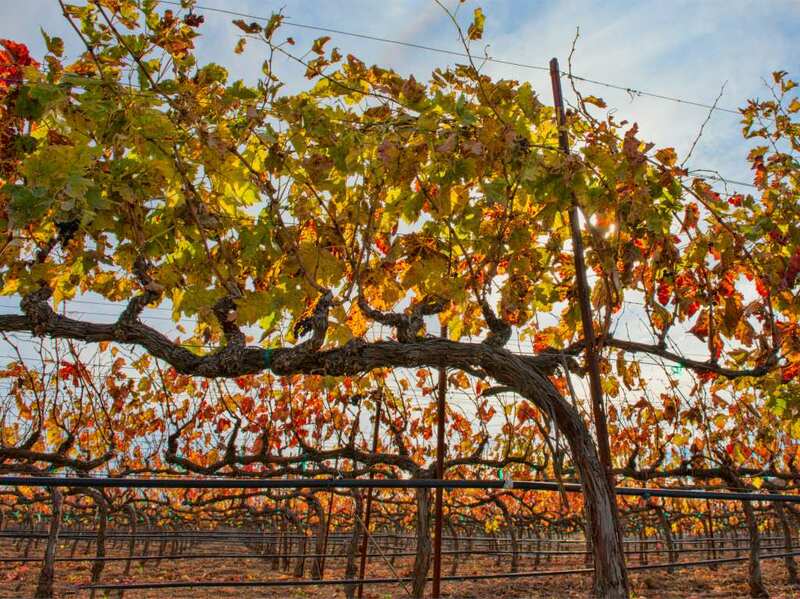 Cloud pruning seems rather difficult, and it indeed requires rigorous work. But take a look around: there are excellent books appearing that explain all there is to know about cloud pruning. So if you wish to have a trendy, meditation-inviting garden, visit your local bookshop. 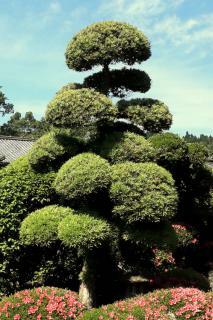 Japanese appreciate conifers which are very docile when subjected to cloud pruning. Yew, pine, cypress, podocarpus, etc. are excellent specimens. As always, you can also explore using this technique on other types of more local trees: hornbeam, holly, yaupon, boxwood and why not even try on wisteria and Japanese cherry trees! Creativity and imagination are the key: the only trees that would not fare well when cloud pruned niwaki-style are tall, trunk-heavy trees such as the cypress stricta or birch. Nicely written and It will inspire DIY gardeners. 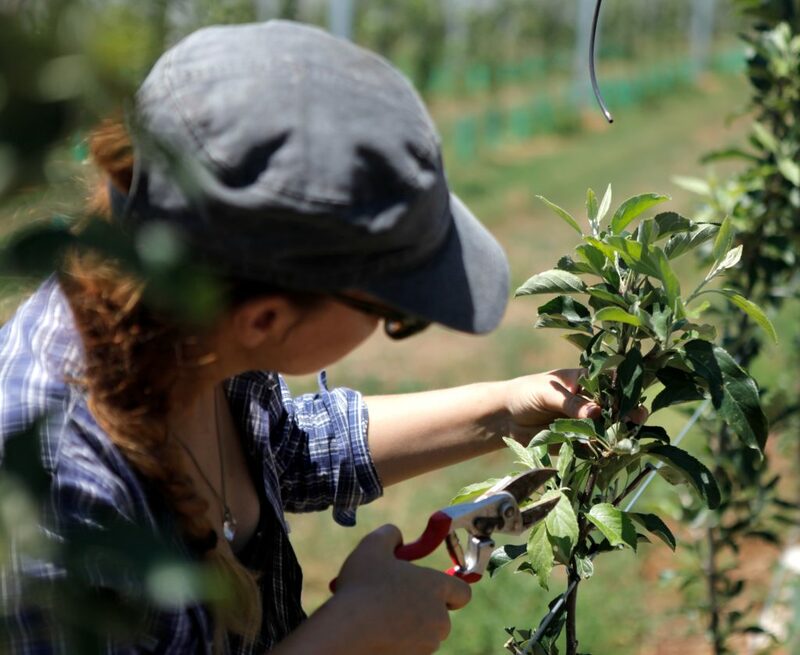 The way you explained Niwaki is definitely easy to understand and if instructions followed then it is easy to avoid pruning disaster. Thanks – what’s for sure is that the only true pruning disaster is the one that isn’t tried! Experimenting and learning from what nature teaches us is a source of joy, even when it doesn’t turn out as expected. Wow okay thanks for your help I will check out the articles. The only post that shows up in searching here for Dwarf Yaupon Holly is this thread here. I’m looking for basic information about it. Because I have one it’s already 30 years old and the only information I can find says it only lives close to 15 years old. Also mine is 5 feet tall 8 feet wide, and still growing. So I’m trying to find real world information to see just how big and old this dwarf Yaupon holly will get? Hello Keith, there’s an article now on dwarf yaupon holly that should answer your question about the size of the shrub. As you’ve noticed, that thing will never stop growing until it dies. Slow & steady! You can read it right here: dwarf yaupon holly. It’s probably enough to just trim it back a bit, but if you want to go full throttle and make it as small as when you first bought it, you can hat rack your dwarf yaupon. It’ll seemingly erase the past 30 years of growth, though, so think twice! Expect two or three years for a nice cushion-like growback. If you want to free up some space for your piping and whatnot, it’s ok to cut it back. If you do it nowadays it’s just the right season (after the last frost in your area).